What is Atti Mode on DJI Drones? It’s Dangers And Benefits. 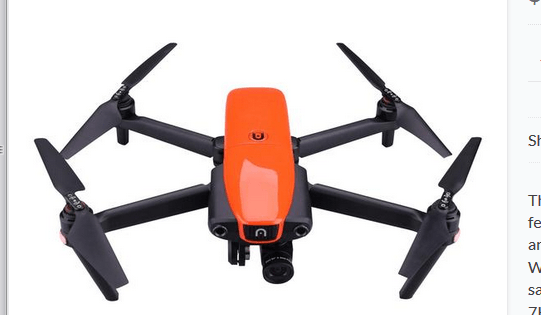 Atti (attitude) mode is an interesting feature that DJI drones have, it’s when your GPS does not work properly or at all (maybe in the mountains for example), and as a result, the bird will not be able to hover in one place or use it’s intelligent flight features. It will actually move around whether you push it lightly or if the wind moves it and this feature can actually be very dangerous if you’re unfamiliar with it, but if you become more experienced, there are massive benefits to flying with it on and I’ll explain it here. A friend of mine was visiting my area with his girlfriend and she was (and is) a Vlogger. At the time, she was hired by a company to travel the stats and Canada to film certain locations and the same company provided her with a Mavic Pro drone, which I also own. But the problem was she had never used it or even opened up the box because she was scared that it would fly away, that it would crash, that it would hurt her, basically the usual worries people have when they don’t understand these machines. So she basically carried it around with her all the time but never used it. When I heard this, I offered to set up everything for her and show her how safe it was to use the Mavic Pro. After charging the battery, installing the DJI Go 4 app and updating the firmware, I was ready to show her how it works, but the problem was, we couldn’t go outside to fly it because it was dark, so we all decided to stay in their apartment and fly it there and when I say fly, I mean having it hover in one spot so I can show them it’s features (there was very little space to actually fly around in). When I turned it on, I was surprised to see that I could not get a GPS signal (we were located in the city, so there were plenty of satellites in the area to catch a signal). In fact, all I saw was atti mode. Now I had seen this before on my other birds (including the Phantom 4 Pro) but I never bothered to study it because it would quickly switch back to GPS mode, so I didn’t mind it. But after waiting for the GPS signal to be found, it wasn’t, it remained on atti mode and I decided to take a risk by taking off. As the Mavic Pro lifted into the air, it started to drift backwards, right at me. I was freaked out (and so was she) that it was doing this and eventually it could not back anymore because I was cornered between it and the kitchen, so I decided to make a move and catch it the air with my hand. This luckily resulted in a safe “landing”. I then tried to fly it again, and the result was still the same thing. 1) When there is no GPS signal and the drone/controller is turned on, this feature will activate. It’s basically a way to keep flying it without having to go through the red tape of safety set up. -As I said when there is no GPS signal. -When there is too much metallic interference in the area. This was the case when I tried to show the girl how to use her Mavic Pro, but didn’t realize there was metal all over the apartment which interfered with the GPS. I only later realized this). -You MANUALLY turn it on. You may be wondering why in the world you’d want to do this, but I will explain in a bit why there actually are MAJOR benefits to using this option. -When the weather is very cloudy or there is some sort of signal interference in your area which interferes with the GPS signal. Basically many of the safety features will be removed once the feature is on. 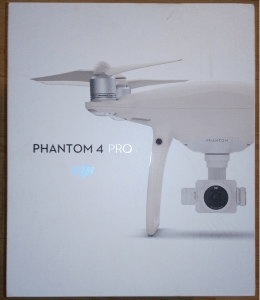 -If you are beginner like I was when I first discovered this mode, you are more likely to run into trouble flying your drone. -There is a WAY higher chance of a crash happening as obstacle avoidance does not work. -There is drift happening and your model WILL move on it’s own. It will not remain still in the air and this can have it crash into an obstacle. -The ability for the drone to fly further and better is reduced as the GPS signal helps it’s safety features work well. Fly it within your eye range if you have to. -If a fly away happens, the drone will NOT return to it’s original take off point. Make sure to keep it within range so the signal between you and the remote is strong (it is literally the only thing connecting you to the model). -For DJI Spark users and Mavic Pro (Mavic Air people too) who use their phone to control their model, my advice would be NOT to even try it. Use a remote, as the signal will be much stronger. Even with a cell phone’s reduced signal range, it’s still tougher to fly with the phone than with a remote. Think of an auto pilot system turned off and you being forced to control everything yourself without help, that’s atti mode in a nutshell. Now for the benefits, yep there’s actually some good ones! -Firstly the ability to fly in VERY narrow corners becomes more possible. With obstacle avoidance working on drones all the time, sometimes being in a tight corner like in between rocks (like I often encounter on hikes) will make your obstacle avoidance go crazy and if you’re not careful, if the drone senses an obstacle and bounces away from it, being in the tight corner, it can easily crash into another corner. Atti mode removes this danger by letting YOU, the pilot have FULL control over it. Yes it will drift, but it beats having an auto pilot obstacle avoidance screwing you up. -It is more challenging to pilot your drone in this and some people may like this. Personally I am not one of them, but I can see reasons and scenarios in which an advanced pilot will need this feature to get a great shot. There are more reasons, but I honestly do not want to mention them because people may misuse them. I’d rather you use this feature in these 2 circumstances and also do note that you should ALWAYS adhere to the flight rules in your region. 1) Know that it can be turned on, on it’s own or you can also turn it on. If you elect to turn it on, be ready to fly more carefully as the danger of a crash increases. 2) Fly within your eyesight view. The signal between you and the remote will be stronger so there’s less chances of who knows what happening and the drone flying away or not catching the signal. 3) Only use this feature IF you’re an advanced pilot and understand how this feature works. Practice it in an open, safe area where if something happens, you can land it safely and not hurt anyone. And also have other experience with flying in that if something happens, you can think quick and take safe action/s. You should be able to pilot the model very well before trying this feature out. 4) Have experience catching the model with your hand. In my case, where I fly, usually there aren’t any flat landing areas, so I have to rely on myself to catch it. Nice article. I finally realized how my first crash happened. I was in metal indoor drone park practicing. When I got too close to the net it was drifting and I panicked and let go of the controller and it just hit the net. 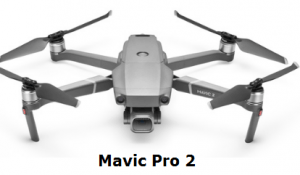 I currently own the Mavic pro 2, I have read many messages asking the same thing, but how do can I prepare for atti mode if I can’t practice in it? Actually you can practice in it Matthew, you just have to turn off the GPS and sensors, BUT I would ONLY do that if you’re in an open area with no wires, no metal obstructions, so if something happens, you’ll have plenty of time to switch the GPS back on and get better control of the drone. Overall though, besides getting used to the feeling of flying in atti mode, this is just an occurrence that doesn’t really happen often, especially not with an advanced drone like the Mavic Pro 2, BUT it will happen if you put it in situations like you did where the risks are greatly increased. So overall, try out flying in atti mode in an open area, become more comfortable with the controls under that condition and then just avoid activating it when in risky areas. Another good thing to do is fly the drone close to you (within sight), this will ensure the signal from the remote is strong with the drone and will reduce the risk of atti mode activating. Maybe, but toy grade drones are also harder to pilot in general. If you’re VERY tight on money and have never flown drones, yeah buy the cheap ones, that are under $20, but if you have a few $100, I’d honestly get one of the top grade drones because they are easy to fly and have a lot of safety features. You can also get insurance on them just in case. Good article. I am just learning about this after suffering a terminal crash with my Mavic Air in Costa Rica. Unfortunately I had no room, time or experience with this so it hit a tree and fell into the river. I did manage to recover it and it was insured. As a software type I fail to see any goodness to why there’s a need to turn off collision avoidance while in this mode. An obstacle is an obstacle. Why would loss of point of reference (GPS) be a determent to obstacle avoidance. If a pilot wants to truly fly without it then give them the option to turn it off in this mode. At least it would give a few more precious moments to react in tight or dangerous confines. Hi Ivan, sorry to hear about the Mavic Air crash you sustained, but thankfully, since it is insured, you should be back up and flying soon. I agree that even while in atti mode, there should be the ability for your device to still have it’s sensors work. However, I would argue that in SOME cases, having sensors on may actually hurt your flight and improve the odds of a crash. One such example is where you’re flying in tight space and causing the sensors to go off and push the drone in the opposite direction of the obstacle, and thus putting it into a position to hit another obstacle from an end where it has no obstacles. This is something you should ONLY be doing if you have a lot of expertise in flying and understand how to handle the bird in these situations.